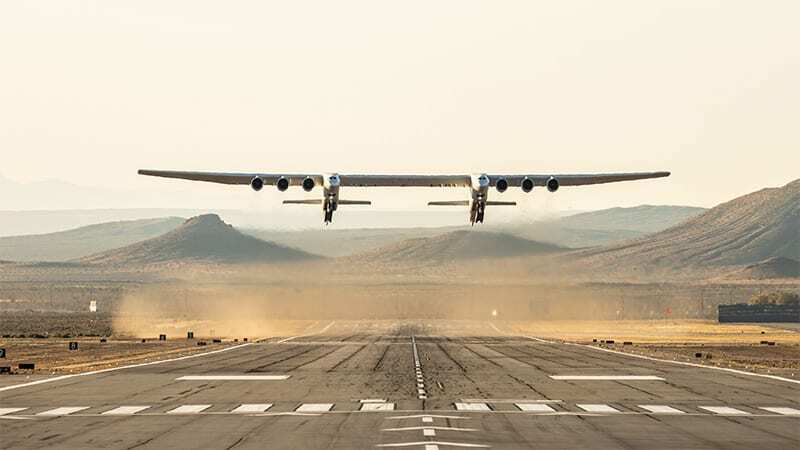 World’s largest plane — Stratolaunch Roc — took off for the first time from Mojave Air and Space Port in California, shortly before 7 a.m. (Pacific time 1400 GMT). The flight reached an altitude of 17,000 feet, gained a maximum speed of 340km/hour and lasted for approx. two hours and 30 minutes, before landing back safely to the Mojave Air Space. 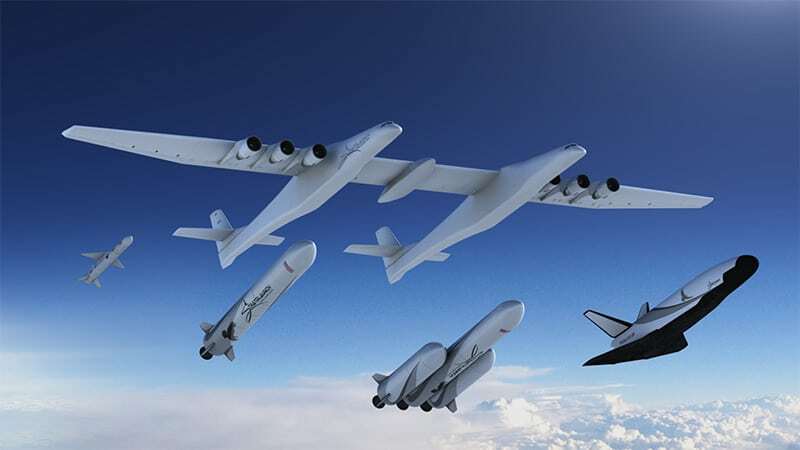 Roc is developed by Stratolaunch Systems Corp, started by late Microsoft co-founder Paul Allen. The Roc is the world’s largest aircraft type by wingspan measuring the length of a American football filed. The plane packs six Pratt & Whitney PW4056 turbofan engines, identical to those being used in the Airbus A300, Boeing 747-400 and Boeing 767. The Stratolaunch Systems aims to use the Roc to launch space rockets with a weight of up to 500,000 lb (226,796 kg). The company is working on four different rocket systems, which can be fired into space from the centre wing part of the aircraft. The first launch tests are planned for 2020 with a payload of up to 816 lb (370 kg). ‘Today’s flight furthers our mission to provide a flexible alternative to ground launched systems. We are incredibly proud of the Stratolaunch team, today’s flight crew, our partners at Northrup Grumman’s Scaled Composites and the Mojave Air and Space Port,’ said Jean Floyd, CEO of Stratolaunch. Allen announced in 2011 that he had formed the privately funded Stratolaunch. The company aism to compete with other industry giants including Elon Musk’s SpaceX and United Launch Alliance – a partnership between Boeing and Lockheed Martin. Allen died in October 2018, a few months after the ‘Roc’ development was unveiled.